Since completing his undergraduate degree in 2006, Simon’s clinical experience has been largely private practice based with an emphasis on musculoskeletal sports podiatry. In 2010, Simon was fortunate to gain an opportunity to consult abroad in the Republic of Ireland, and at this time commenced his postgraduate Masters degree. 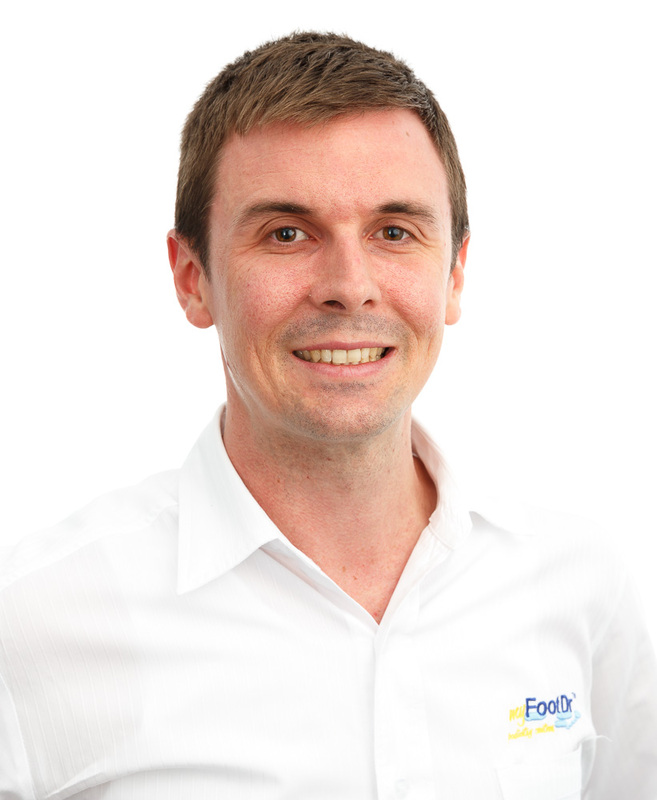 Upon returning from overseas, Simon relocated to sunny North Queensland and pursued a clinical position within a skilful team of Podiatrists in Townsville. Further postgraduate research endeavours and the prospect of reacquainting with mentors Greg Dower and Darren Stewart, has governed an exciting homecoming to Brisbane in 2014. Involvement with the Athlete’s Foot shoe franchise company as a university student has seen Simon gain vast knowledge and experience in athletic footwear fitting, prescription and design. In his spare time, Simon is actively involved in long distance athletic running and has developed a great interest of lower limb pathology through his personal sporting endeavours. Simon has been lucky to have had the thrill of competing in the New York City marathon after obtaining the required qualifying times for guaranteed entry. Accordingly, he has recently qualified to compete in the Boston marathon in 2015 following last year’s Melbourne marathon race. Running in Budapest, Rome, Edinburgh and London are also highlights of his “running-life” to date. It is Simon’s definitive desire to provide optimal health care and empirical research for the foot and lower-limb, in allowing patients of all ages to achieve better mobility in their lives. Simon looks forward to adding further excellence to the my FootDr™ podiatry group and consulting you soon! Member Australasian Academy of Podiatric Sports Medicine.